Back from Chicago. I'll admit that Chicago has a very exciting theater scene. I saw Predator the Musical in a funky neighborhood (Irving Park?) last night. 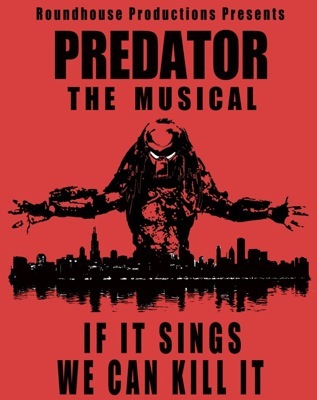 And yeah, it's Predator... as a musical. It's not the fairly famous Internet video. And although I think it's fairly flawed (the tone between the "book" and the music is fairly divergent) it sure is fun. New York theater tends to be very serious. And I mean that in every bad way possible. But Chicago has many very interesting little theater companies. There are a lot of differences between Chicago and New York. Obviously the price of real estate is one of the big ones. 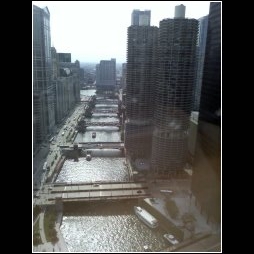 Also, from my brief experience looking at Chicago theater -- is anybody out there Equity? I mean do working or semi-working actors bother joining Equity? Do the equivalent of off-off Broadway producers in Chicago bother to sign Equity contracts? Well I don't know. And I've managed to get that one-hour back-and-forth jet-lag from the weekend. So I'm gonna sleep it off. Would You Like To Manage a Theater?